JOIN THE FESTIVAL PLANNING COMMITTEE! Do you have an interest in community development and sports? Are you a female between the ages of 17-27? 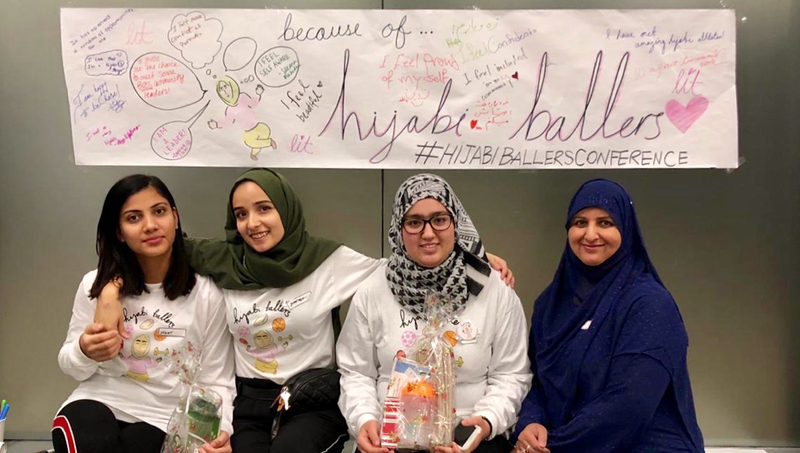 Apply to be on the Hijabi Ballers Festival Planning Committee! DEADLINE: Apply by MONDAY APRIL 22 through by clicking the button below. The third annual Hijabi Ballers Sports Festival will be on Sunday July 7 at Go Green Youth Centre. The Festival celebrates the Hijabi Ballers project, its athletes and community members. It is meant to bring together all members of the community in support of Muslim women in sports. It will be an opportunity for girls and women to meet each other and make connections through sports, recreation and wellness while having the opportunity to be part of sport spaces in their communities. The event will feature a girls-only multi-sport tournament, drop-in sessions to try new sports, organized kids and adults games and lots of other fun activities. Successful applicants must be available to meet on a biweekly basis in May and weekly basis in June (7-9 meetings total) for meetings usually in Thorncliffe/Flemingdon area and be available on event day July 7 all day. Time commitment is 18-20 hours total until event day plus all day July 7. The below positions are volunteer positions with an honorarium of $200 + Hijabi Ballers & Nike merch. One individual will be selected for each position.